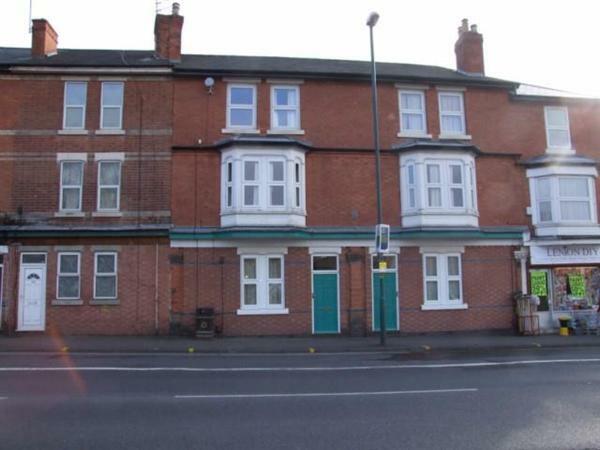 Jillings Estates are pleased to offer to the market an investment property located in a prime rental area with easy access to Nottingham City centre. The property has uPVC double glazing, electric heating throughout and the two ground floor flats have access to their own private courtyard gardens. 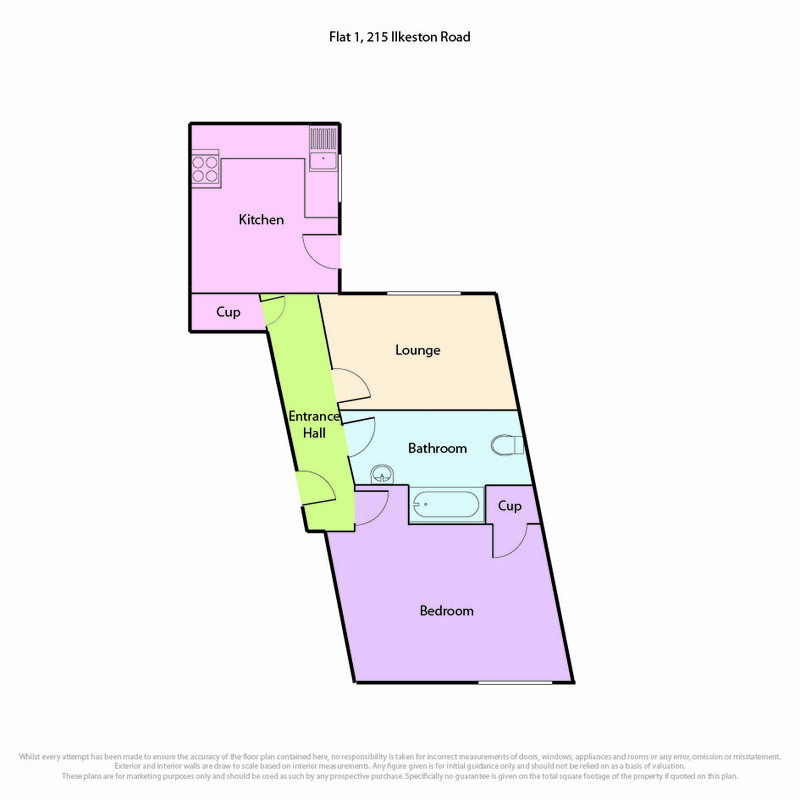 Jillings Estates are delighted to offer to the sales market an investment property consisting of six flats over three floors. 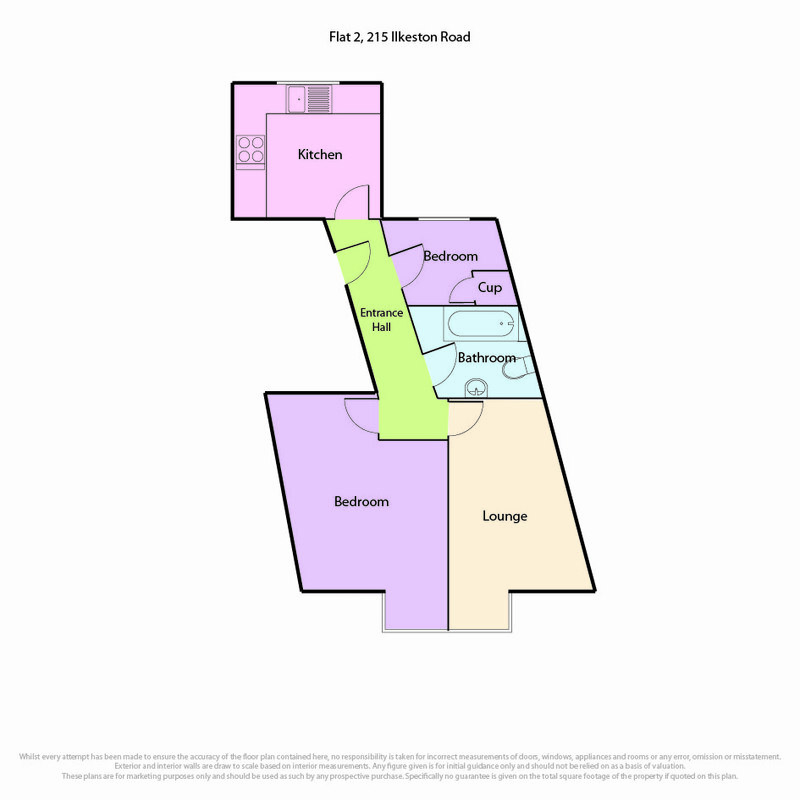 The property has been kept in good order throughout by the current owner and is located in a popular area for the rental market, being within easy reach of Nottingham City Centre, Nottingham Trent University and the Queens Medical Centre. The six flats are currently giving an annual rental income of £30,300. 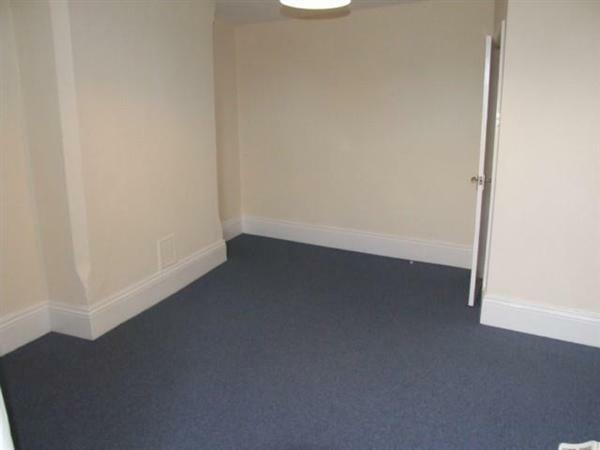 Entrance: fitted with a walk-in storage cupboard and carpet. Lounge (14'2" x 13'3"max): Fitted with telephone and television points, an electric storage heater, storage cupboard containing the hot water tank, carpet and a double glazed window to the front aspect. Kitchen (10'5" x 9'8"): The kitchen is fitted with a range of wall and base units in a beech finish with grey worktops. Appliances include freestanding electric oven, washing machine and fridge. The kitchen is fitted with an extractor fan, has beige vinyl flooring and an electric storage heater. There is a double-glazed door leading out to the rear of the property. Bedroom (13' x &'4"): There is an electric storage heater, carpet and double-glazed window looking out to the rear garden. Bathroom: Having a white suite consisting of a bath with shower over, pedestal basin and WC. There is an automatic extractor fan, internal window and electric wall heater. 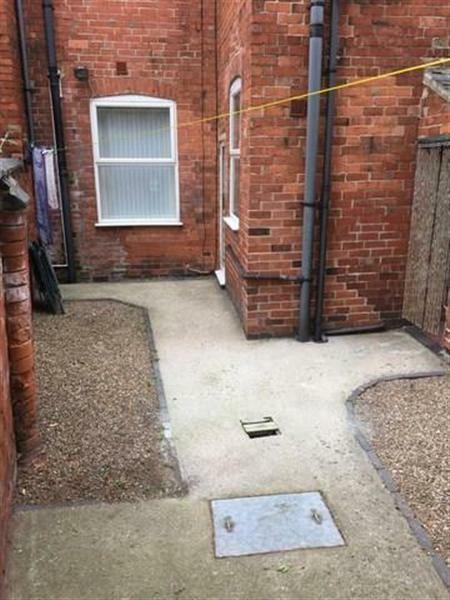 Outside: There is a private rear courtyard for the sole use of the ground floor flat which has a pebbled seating area and a storage outhouse. 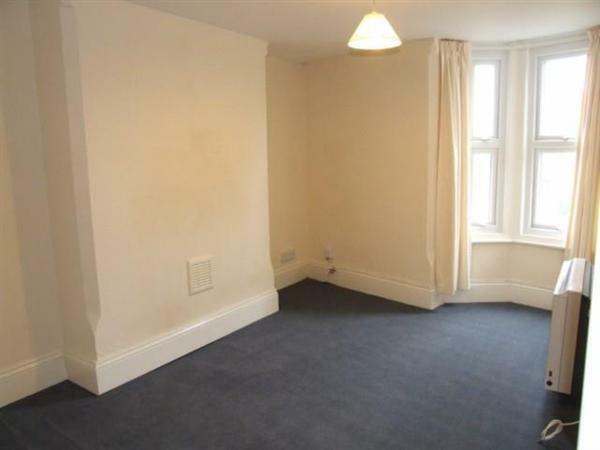 A first floor flat which has a private entrance hall off a communal stairway. Lounge (13'8" plus bay x 10'5"): A uPVC double-glazed window looks out onto Ilkeston Road, there is an electric storage/convector heater and the lounge is fitted with cable television point. Kitchen (9'7" x 8'9"): Two steps lead down into the kitchen which is fitted with wall and base units in a beige finish with grey laminate worktops. Appliances include a freestanding electric cooker, fridge and washing machine. The kitchen is heated by an electric storage heater and there is a uPVC double-glazed window looking out to the rear of the property. Bedroom (15'8" x 9'6"): The bedroom is located at the front of the property, is heated by an electric storage heater and has a uPVC double-glazed window. Study (9'6" x 7'8"): With a built in airing cupboard, uPVC double-glazed window facing the rear of the property and a electric storage heater. Bathroom: Fitted with a champagne suite comprising of a bath with a shower over, pedestal basin and WC. There is an electric wall heater, an internal window and an extractor fan. Entrance: The top floor flat has a doorway from the first floor onto a private staircase leading up to a landing which has a double-glazed window, storage heater and airing cupboard. Kitchen (12'9" x 8'4"into recess): Fitted with cream-coloured wall and base units with grey laminate worktops. Appliances include a freestanding oven and hob, washing machine and extractor fan. There is a double-glazed window looking out to the rear of the property, vinyl flooring and an electric storage heater. Lounge (13'7" x 12'7"): Having telephone, television and Virgin Media points, a front-facing double-glazed window and an electric storage heater. 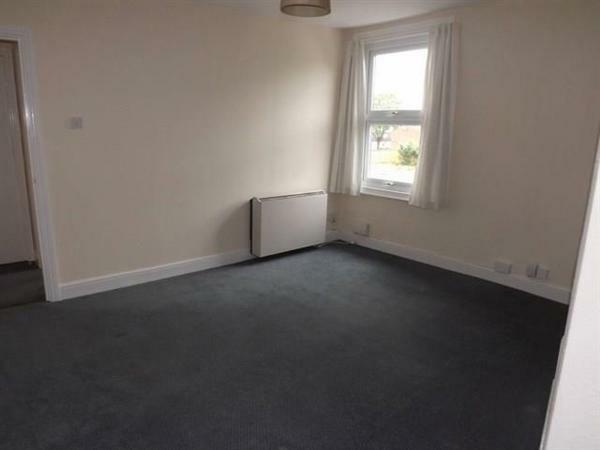 Bedroom (10'2" x 8'1"): Located at the front of the property and having a carpet, an electric storage heater and double-glazed window. Bathroom: Fitted with a champagne bathroom suite comprising bath with shower over, pedestal basin and WC. There is an electric wall heater and automatic extractor fan. Lounge (14'2"into bay x 13'3"max): Fitted with telephone and television points, an electric storage heater, storage cupboard containing the hot water tank, carpet and a double-glazed window to the front aspect. Bedroom (13' x 7'4"): There is an electric storage heater, carpet and double-glazed window looking out to the rear garden. Bathroom Having a champagne suite consisting of a bath with shower over, pedestal basin and WC. There is an automatic extractor fan, internal window and electric wall heater. 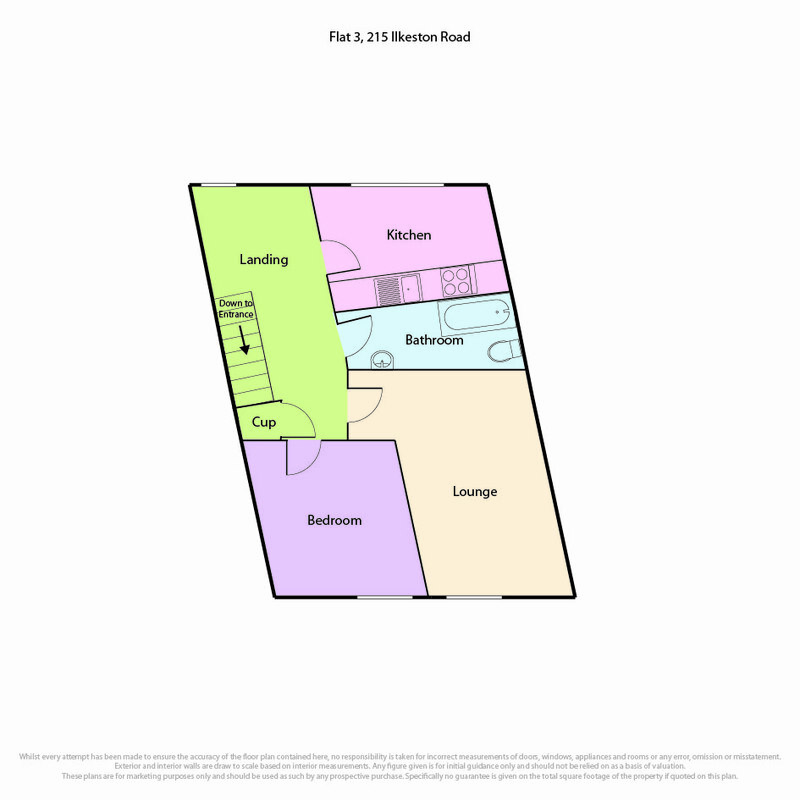 Outside: There is a low maintenance courtyard garden to the rear for the private use of the ground floor flat. 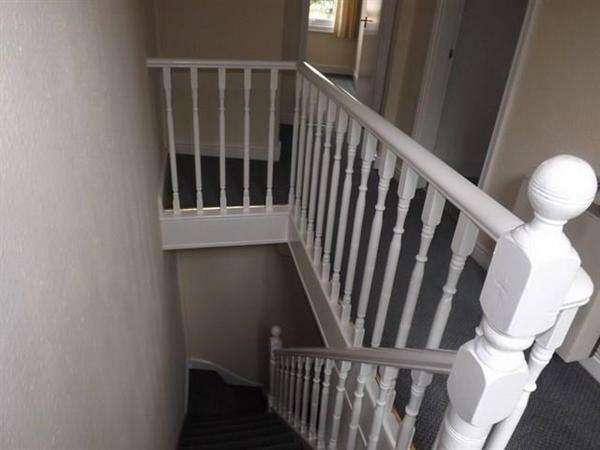 This first floor flat has an entrance hall off the communal stairway. Lounge (16'3" into bay x9'11"): A uPVC double-glazed bay window looks out onto Ilkeston Road, there is an electric storage heater and the lounge is fitted with a cable television point. Kitchen (911" x 8'10"): The kitchen is down two steps and is fitted with wall and base units in a cream finish with onyx laminate worktops. Appliances include a freestanding electric cooker, fridge and washing machine. The kitchen is heated by an electric storage heater, there is an extractor fan and a uPVC double-glazed window looking out to the rear of the property. Bedroom (13' x 8'8"): The bedroom is located at the front of the property, is heated by an electric storage heater and has a uPVC double-glazed window. Study (9'4" x 6'2""): With a built in airing cupboard, uPVC double-glazed window facing the rear of the property and an electric storage heater. 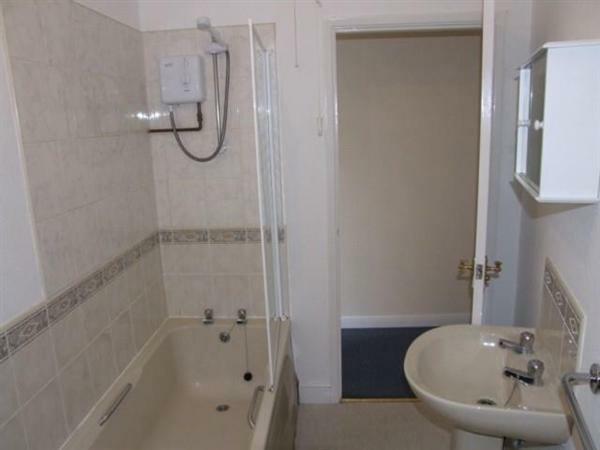 Bathroom: Fitted with a beige suite comprising of a bath with a shower over, pedestal basin and WC. There is an electric wall heater, an internal window and an extractor fan. Entrance From the first floor is a door leading to a staircase which rises to a landing. This has a double-glazed window, storage heater and an airing cupboard. Kitchen (13'max x 7'9" max): Fitted with cream coloured wall and base units with grey laminate worktops. 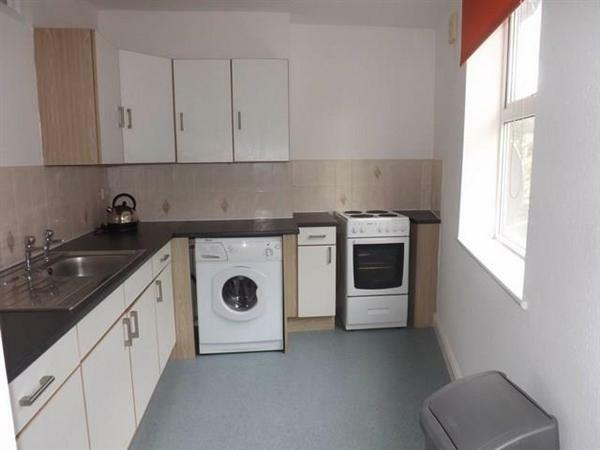 Appliances include a freestanding oven and hob, washing machine and extractor fan. There is a double glazed window looking out to the rear of the property, vinyl flooring and an electric storage heater. Lounge (13'8" x 9'2"): Having telephone, television and Virgin Media points, a front facing double-glazed window and an electric storage heater. Bedroom (10'4" x 9'4"): Located at the front of the property and having a carpet, an electric storage heater and double-glazed window. Bathroom Fitted with a champagne bathroom suite comprising bath with shower over, pedestal basin and WC. There is an electric wall heater and automatic extractor fan.